Large corporations and organisations are currently under attack from organised hacking groups located around the world. These large-scale attack campaigns have demonstrated that many companies are not prepared to properly defend or remediate against these threats. 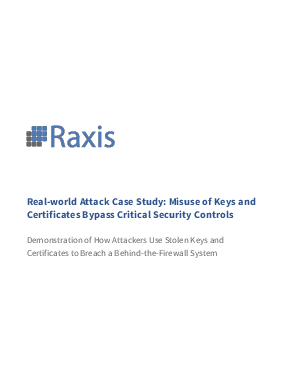 This case study demonstrates a recent attack that used cryptographic keys and digital certificates as well as guidance on how to protect certificates and keys and quickly discover and remediate breaches. Download this paper now to discover how to apply secure configurations and remediating after a breach.